Just One W.I.P: Bloggers Giveaway Day! Well, it's Bloggers Giveaway Day according to Sew Mama Sew! You know what that means? I'm going to give something away! 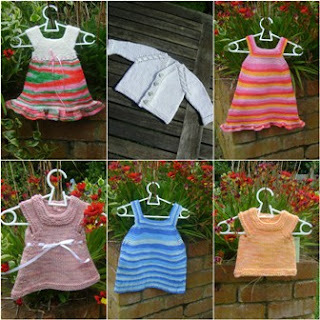 I've released a couple of series of knitting patterns - you can find more information HERE about my Teacher's Pet dresses and The Little Rascals series. I'm happy to gift the winner a full copy of both for their personal use if that's what you'd like! Comment on this post letting me know which item you'd like to win, a way to get hold of you (pref. email address) and where in the world you are. I'm happy to post anywhere, though of course, for some countries it won't get there till the New Year. If you post about my giveaway on your own blog or post the link to my giveaway on Facebook or somewhere else, let me know in the same comment too and I'll give you an extra entry. I'll close entries on Friday December the 17th at 9pm NZ time and announce the winner (drawn randomly) by 10pm on the 17th NZ time. I'll have the package ready to post by the 20th! So if the winner is in NZ, the prize may even get there by Christmas! I would love to win a copy of Teacher's Pet, I love what I tested of this pattern (please ignore any comments made during my dogey mental state at the time!!!!) and would so love to do one for Miss 4! I've Facebooked this out also! Oh I'd love to win a couple of dishcloths or the Teachers Pet pattern :-) Will facebook about this too. Have a great day Julia. Hi Jules, I'd love to win some bibs... I can't seem to keep up with the demand for them at the mo... one messy dribbly baby!! I would love to win the Magical teachers pet that you have for sale. It would look gorgeous on my elder daughter. Wow I'd love to win the Fit for a Princess Edens Eve!! Perfect for my neice. I would love to win the NB sized baby einstien with cables ... perfect for the new bubba coming in May ... will try and sort out a FB link as well. Awesome and so generous of you Julia! I will spread this on my FB for you too and blog. Can I be cheeky and enter? I hope so! II would love to get one of your knitted items as a gift for one of my nieces for Christmas. Can I please have your lovely knitting patterns if I win? Wow, so many lovely gifts to chose from. ooooo.....knitted dish cloths please! They are super funky! Would love the magical teachers pet! Although I have the pattern, I still haven't managed to get around to knitting it. My daughters would both love it. Oh - would love to win the Blue Magic (Eden's Adam) or the Teachers Pet pattern please! Both would be fantastic for my daughters. I would love to win the The Little Rascals Patterns! Great to see patterns with such a huge size range, makes it a lot more economical to buy the book! FAB! I would love to win the "Fit for a Princess" Dress for my daughter - what a great comp!!! ooh julia! lovely lovely stuff as usual. you know what i will pick - one of your gorg knitted items :) will put a link on fb as well. If I were so lucky I would choose the blue Eden's Apple too. They are all wonderful prizes though. I love the knitted dishcloths :) they are lovely. Oooh making bibs! This must be with your wonderful sewing skills!? I'd love to win an aviatrix hat. They are just lovely. Oh man Julia - hard to pick - probably would go for the pattern or the knitted item. I love the look of your patterns would love to give them a go. I've been getting really into knitting recently, so would love to get a bit more adventurous and try your little rascals patterns. Those colourful dishcloths would look great in my kitchen, please count me in! Love the stripped jumper (upper right corner). I know just the little girl for it. And I really like the dishcloths. They are so pretty and bright I might actually WANT to do dishes! I would love the little Einstein cardigan! So cute! Those dishcloths would really be beautiful in my new kitchen (placed at his moment)! Awesome Giveaway! the dishcloths are perfect! I'd love to win the Merry Christmas rainbow dress for my friend's new baby. I'm in TN. for my neice. SO pretty. I would love to win one of those cute outfits! I LOVE "Crisp", the newborn sweater. We're expecting a baby soon and the sweet little cardigan would be perfect. oooh I could really use some boy bibs! I would love to win some knitting patterns! i would love some of those pretty dishcloths! thank you from Virginia! I love the dishcloths!! Very colorful! I am in Ontario Canada where it is well below freezing at the moment..and windy! I would love to win the stitch markers. I tend to use paperclips! I'm in a cold and snowy Nashville Tennessee! I'd love to win the stitch marker set. I am drawn to earthy colors - greens, blues, browns, orange, etc. Love the washcloths too! This a great giveaway, I think I will love the stitch markers. Ooh . . . I'd take that Blue Magic shirt for my daughter! She would look darling in it! I like the rose versa dress! Hands down the Rosy Versa because I have a little girl that's about 9mos. Love the Young Einstein and the dish cloths. The pink dress with the white ribbon is my favorite. I know a little girl who would love that! the dish cloths are so pretty! i really want to learn to knit :) i'm in raleigh, nc and my email is through my blog profile. thanks! I would love to win the washcloths. Fantastic! I would have to choose one of your knit items, even though your patterns are fabulous, because I could never pass up a COMPLETED hand knit beauty. :D I think I'd choose a rose dress, but I really like the peach top and the cable cardigan, too. Thanks for the fantastic giveaway. I'm in North Carolina, USA. P.S. Beautiful knitted items. I love all those (aviator?) hats in your header! 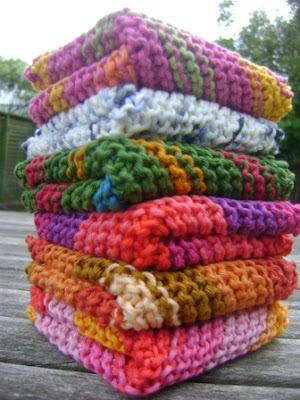 I would love some dishcloths - love the handknitted varieties! I'm an Aussie! I would love the patterns! Thanks for offering such a great giveaway. I love your knit dresses for my 2 year old daughter! Very cute! I love those dishcloths too! LOL :-) Anything would be fun! I'm in Louisiana! Thanks so much! I'd love to win the bibs for my DD. I would LOVE to win the newborn sized cardigan! It's gender neutral, and since I'm having a baby boy in April, it's perfect for him! I live in the Salt Lake Valley in Utah (US) and it's still chilly in the early spring here so it'll be put to use as soon as he's born! No littles in our family, but would LOVE the washcloths! I would LOVE LOVE LOVE to win the Little Hoodlum pattern! thanks for the chance! I'm in the US. Handknitted dish cloths for me, please! Your clothes are beautiful. I would love to win the Magical Teacher's Pet dress. It's gorgeous and would be great for my daughter! Thanks! Alabama, here! Those knitted dresses are sure cute! Thanks for the chance! I love the Teacher's Pet dress (fabulous? fantastic? I don't remember the exact name). It would look great on my tall and skinny four-year-old. I would LOVE to win the Magical Teacher's Pet top! It would look fantastic on my brunette 2 year old and it has all of her favorite colors! :) We are in the US. Such beautiful things! I would love to win Fit For A Princess' Eden's Eve. I'm in Canada. I'd love the dish cloths! I have a few that are really getting grubby and I love the colors in yours! I'm in the US. I don't have people that little anymore, so please count me in for the dishclothes - I love using them! Thanks and please come enter my give away, too! Do you cloth diaper? I would absolutely LOVE a pair of shorties or soakers...whatever they're called. Baby #4 is due in January! Magical teacher's pet!! Both my girls could wear it, lol. Lovely stuff, really, and I appreciate it more because I don't knit myself. Thank you! I would choose the baby sweater. I know about 20 ppl having babies soon so I would be sure to have a person to give it to. What great giveaways! I have a little grandgirl who would look so cute in your 'Fit For a Princess' Eden's Eve dress. Thank you so much for the chance to win! i would pick one of the handknit items from your shop, but i'd need to spend some time thinking about which one - i can't decide! I would LOVE the crisp einstein cardigan. we are expecting in january and it would be perfect! I would love to have those dish cloths! Those colors are great and always useful! Thanks for a great giveaway! I would love the dishclothes - love those colours! I would pick one of your knitted items. Thanks. I would love to win the dishcloths. One can never have too many. Little hoodlum, and may I say the best hoodie pattern name ever! Would love one of your knitted ones for sale. I love the white sweater in your for sale section. I am looking for a handmade knit to put on my baby bnoy due in Feb! I would love some of the dishcloths. I had one a long time ago and loved it, but after it wore out never got around to getting/making another one. the dishcloths are lovely!!!! I'd love to win them. I would choose the bib set for a girl. They're so cute! Those dishcloths are so cheery--I'd love to have a couple to brighten up my kitchen. I would love to win the dishcloths! I'd like your dishclothes. I'm here in Townsville Qld, Austrslia. I would love your magical teacher's pet dress as well! My tall and skinny little girl would love it! Thank you so much for sharing all of these items! Wow, choices, choices, choices! What a wonderful giveaway. I would love the 'Magical' Teacher's Pet Top for my daughter. Thanks so much for the giveaway. Well, that is a difficult choice, but I think I'd choose the 'Magical' Teacher's Pet. It's so pretty and my girls would love it. Thank you for the giveaway! I would love the 'Magical'Teacher's Pet for my daughter! It is so dang cute! I live in the US, near Chicago. I would love to win the dishcloths or the stitch markers! I am forever knitting dishcloths for other people but never manage to keep any for myself. I not only wish for the stitch markers, I need them. My favorite color is red. I would like the matching bibs for a boy! I'd love to win one of your lovely dresses! Do you think the "merry Christmas" rainbow dress would fit a chubby 3 month old??? Maybe not... then I'd like the "fit for a princess" Eden's Eve. Thanks for the giveaway! Dishcloths hands down, I would look forward to doing the dishes!! Thanks for the giveaway, I am a follower. You have really cute patterns! If I won I would like some stitch markers as all I use now are safety pins haha. Wow, so hard to choose, you are right!! I love the Einstein Cable Sweater. Absolutely gorgeous. Thanks for the chance! great giveaway!! I would pick one of the knit outfits...so cute! (i have a girl toddler).... thanks! Wow your so talented! I want to learn how to knit so I can make such pretty clothing but I don't know how! Only crocheting and I taught myself so reading patterns is hard!! Teacher's Pet shirt/dress if I won. My daughter would love the stripes! I love the teachers pet dress! Thank you for the chance to win! I think the most attractive to me are the dishclothes ! I never saw one (I'm in France) and I'm curious to know how it feels to use them ! The Rosy Versa dress is adorable! Thanks for the giveaway. i love the fit for a princess dress - very cute!!! I'm just across the ocean in sunny sydney!! 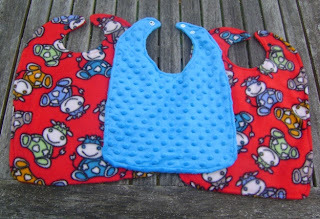 as i don't have any babies to fit into your adorable dresses and bibs, i'd go for the dishcloths! but everything is cute. I would have to pick the Little Hoodlum because I love the name and can see both of my girls using it. One of your knitted items would be very nice. Thank you! I am expecting my third child in the next three weeks, so I would love a couple of your bibs! We don't know the gender, so something 'unisex' would be great! Thanks for a fun giveaway. If I won I'd pick your patterns! I love them!! I'm from Canada and would love the Teacher's Pet dress for my little girl! I'd love the Rosy Tunic for my baby girl! I'm in Brisbane, Australia. wow...eden's eve 6-12 months please! i am in canada...british columbia.... and cannot knit - your stuff is amazing!!! Wow! You are very talented! Thanks for sharing with us! I would love to win the bibs for my soon to be born baby boy. They would be extra special in comparison to the store bought ones. What a generous giveaway! I would love to with the magical teachers pet - it is stunning! I adore the colours of 'Magical' Teacher's Pet and it is the perfect size for my daughter! I love knitted dish clothes! I would love a kitted item! I love the knitted dress for a 2 year old. I'd love to have the knitted cotton dishcloths - there's nothing like them! Thanks for the chance to enter. I'd love a knitted dress for my daughter who is turning 2 in March. Thanks for the chance! i love the Crisp Young Einstein Cardigan with Cables. I'd Love some boy bibs for my son! I'm in NZ and love your work! 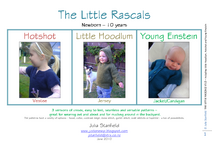 Hi - I would love to win your little rascals patterns. What fun! Come by my blog and enter mine if you want to! There are no little ones in my life so I would like the stitch markers. I'm in Finland. I would really like some baby socks, but did not see any for sale. I love your cardigan for a small baby, and also liked the Cabled Hat, it is beautiful! I love the teachers pet dress! So cute! I love the first little knitted dress in the photo! I'm in Alabama in the US. I would love to win the dishcloths. I'm in Texas! I love the white newborn cardigan in the "items for sale"! I'm in Indiana, USA. Just click on my name to get my e-mail address. Would love to win the dishcloths or baby girl bibs! some cute stuff...I don't think I could choose between the Eden's Dress or stitch markers at this time...but I'm sure if I won I would be happy to choose between those two! I'm reading this in Anchorage, Alaska USA! I like all your things, but I would choose the dishcloths. I adore the aviatrix cap, it is totally cute! Great giveaway! I'm posting from Oklahoma and I'd love to have the Eden's Eve fit for a Princess for my little girl if I win, coincidentally my daughters name is Eden. :)Thanks for the chance to win! Would like to win the stitch markers. Thanks for the chance! We just started solids, so we could totally use the bibs! I'd love the dishcloths. Your knitted dresses are beautiful! Thank you. Hello from Washington DC. I LOVE the Rainbow dress. It is too cute for words. Thank you for participating in the giveaway hop. Your items are gorgeous, it was hard to choose! 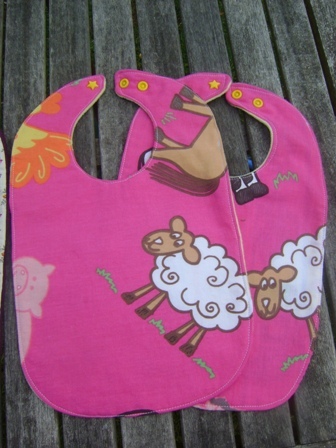 I'd love the pretty pink 6mo old tunic for a friends wee girl.... Thanks for the chance! What a generous giveaway. I love that teachers pet dress. I have a skinny 5 year old... not sure if it would be too small. The dishcloths are nice too. Those are the best kind to use. I love that I can even compost them when they are too grubby. I'd love to win a copy of your gorgeous patterns! They have been on my list of things I want to knit for ages! I would love to win the darling young Einstein cardigan! I love the Little Einstein sweater! It woud be perfect for my youngest grandbaby. I never got to my knitting this fall so this would be a great treat! I would love to win the bibs, for a boy. I will have a new grandson in March. I am in Prince Edward Island, Canada. i'm in the uk, so may be cutting it fine to enter the giveaway by the NZ deadline!!! would love the Blue Magic Eden's Garden vest - we have a little boy but are trying to keep things unisex for the next littles. Yay Ohhhh I would love to win hmmmm an adams eve for my neice!!! I would love to win one of your knitted items for my new grandson. Or the bibs, he uses a lot of those. thank you. I would love Magical Teachers Pet for my big little girl. I love that colourway and I don't have enough of it to make anything useful. Eden's Eve dress. I'm in Virginia, and we have snow tonight! Love the 'Magical' Teachers Pet dress for my little girl. I am in Chicago, Illinois. Hi Julia ~ I love the look of your dish cloths! hey there.. i love the fit for a princess edens eve.. everything in your shop is so pretty. i´m going to stick around and see if I can learn from you!